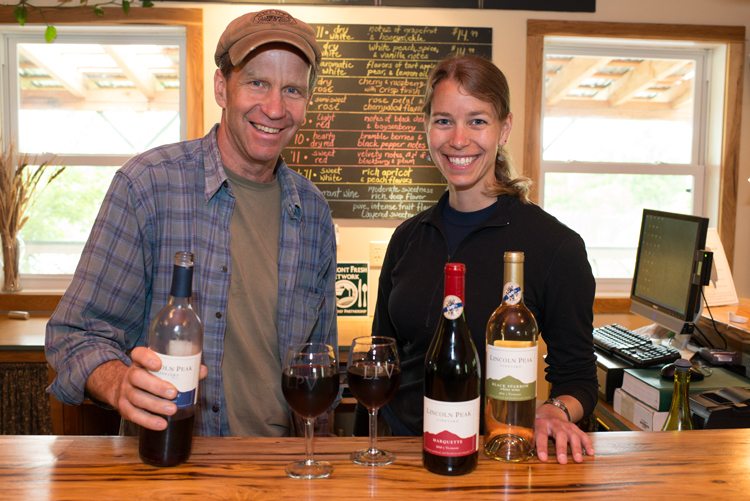 Lincoln Peak Vineyard, owned and operated by the Granstrom family, made their first commercial batch of wine in 2006, after years of growing apples and strawberries. They now produce 25,000 bottles per year from grapes grown on their 12 acre farm. They produce 10 varieties of wine, including whites and reds and one rose and one ice wine.